Story of a Soul is often called Therese's autobiography. She wrote three manuscripts: in 1895, for her sisters, a memoir of her childhood; in 1896, for her sister Marie, a souvenir of her last private retreat; and, in June 1897, for her prioress, Mother Marie de Gonzague, a reflection on her religious life. 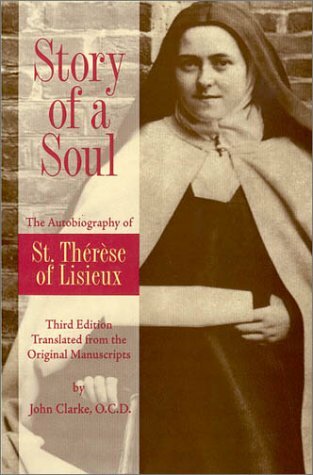 Translated into more than sixty languages, this classic in which Therese tells the story of her soul has had a miraculous impact on countless other souls. The introduction, epilogue, photographs, and notes supply a powerful setting for Therese's manuscripts, so that even those totally new to Therese enjoy the book. Fr. John Clarke's translation is by far the best English translation on the market, and the only English translation from Therese's authentic manuscript. If you know Therese only through some other translation, I urge you to read it. General and biblical index, eight pages of photos, $13.95. For details or to purchase, click on the image. At the Web site of the Archives of the Lisieux Carmel, read Therese's authentic manuscripts online. St. Therese's letters, a translation of the critical edition of her correspondence, are an unclaimed treasure. In Story of a Soul Therese writes "I find myself at a period in my life when I can cast a glance on the past," but in her letters we accompany her day by day. Read what she wrote at 14 on the day of her audience with Pope Leo XIII ("The good Pope is so old, one would say he is dead") and at 17 when she learned that her father would not be present at her reception of the veil: "Celine, my tears are falling as I write . . . "). The letters of her correspondents broaden our knowledge of her relationships and her world. The notes document Therese's family and environment. Reading through them chronologically yields a valuable experience of Therese's maturing and development over time. If you know Therese only through "Story of a Soul," please do not miss this chance to know her in a new way in her letters. 700 pages, paperback, $16.95. For details or to purchase, click on the image. 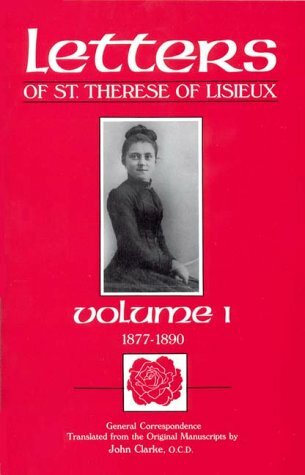 The second volume of the critical edition of the letters of St. Therese (from her final vows in September 1890 until her death in September 1897) is a delight for her new and old friends. Accompany her through the most hidden years of her Carmelite life; the election of her sister as prioress ("Mother! ah! how sweet it is for your child to give you this name! "); the death of her father ("Papa's death does not seem like a death to me, but like a real life . . ."); her relationship with her missionary brothers, Adolphe Roulland and Maurice Belliere ("Ah! Brother, let me tell you: the good God is reserving for your soul very sweet surprises. "); her letters to her sisters Marie ("what pleases God in my little soul . . . is that He sees me loving my littleness, my poverty, the blind hope I have in His mercy"); Leonie; and Celine ("Yes, it is enough if we humble ourselves and bear with our imperfections; that is real sanctity,"); and her growing sense of mission ("I would like to save souls and forget myself for them; I would like to save them even after my death"). The letters written to Therese deepen our knowledge of her milieu. The notes are a marvel of depth and precision, and the index to both volumes of the letters makes them much more usable. I cannot recommend the book highly enough. Paperback, 688 pages, $24.95. For details or to purchase, click on the image. 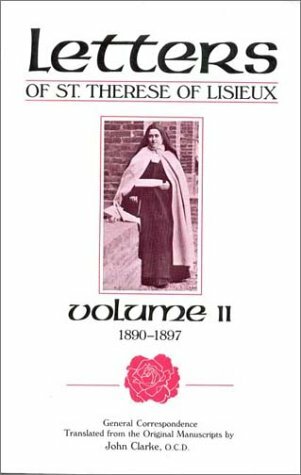 The Poetry of Saint Therese of Lisieux is the English translation of the new centenary edition of Therese's poetry, among her least known writings. Some ("Living on Love," "Why I Love You, O Mary," "The Unpetalled Rose") are major works; some, occasional writings. Fr. Kinney's intimate and delicate understanding of Therese has blossomed into a remarkably clear translation. Therese reveals herself completely in the poems, which have an atmosphere of unguarded tenderness, of a child at play in the universe, searching all creation for images sufficient to tell her love for the Creator. While expressing freely the atmosphere of freshness, innocence, and playful abandon that surrounds Therese's poems, Fr. Kinney gives the reader access to the stark, graphic images which spoke to Therese and the burning passion of her last years. The notes to these 54 poems deepen our understanding of Therese and of her relationships with the sisters and brothers for whom she wrote many of them. Including the original French texts enhances the work. In this book Therese is as completely available to the reader as she was to those with whom she lived, to whom she tried to be "an open book." Paperback, $12.95. For details or to purchase, click on the image. 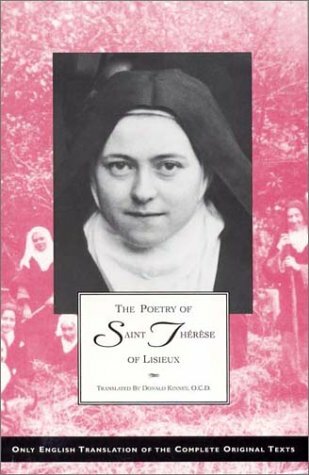 At the Web site of the Archives of the Lisieux Carmel, read this translation of Therese's poetry online. This English translation of the critical edition of St. Therese's prayers opens a window into her heart. Some prayers (her prayer at Profession, the Act of Oblation to Merciful Love, and the Consecration to the Holy Face) are major works; some, minor, but all contribute to our understanding of Therese. The prayers show especially Therese's understanding of Scripture, her spousal devotion to the Holy Face of her Beloved Jesus, and her filial abandonment to Mary, to the Sacred Heart, and to the angels and saints. Therese wrote several of these prayers for others. Overflowing from her tender heart, they show how generously and artlessly she shared her spiritual life with those about her. The notes add much to our understanding of Therese's life and community. This little book is a real gift, simple and readable, and an excellent bedside book. 108 pages, paperback, $9.95. For details or to order, click on the image. 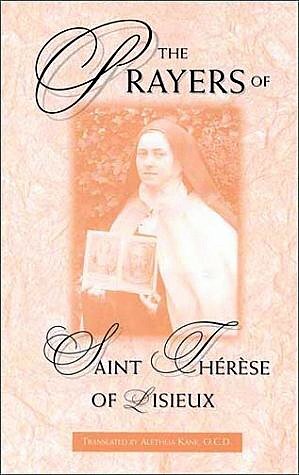 At the Web site of the Archives of the Lisieux Carmel, read this translation of Therese's prayers online. Paperback, 376 pages, $17.95. Click on the image to order.